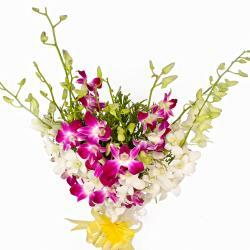 Product Consist : Ten Stem of Purple Orchids with green fillers in cellophane Wrapping with Ribbon Bow on it. 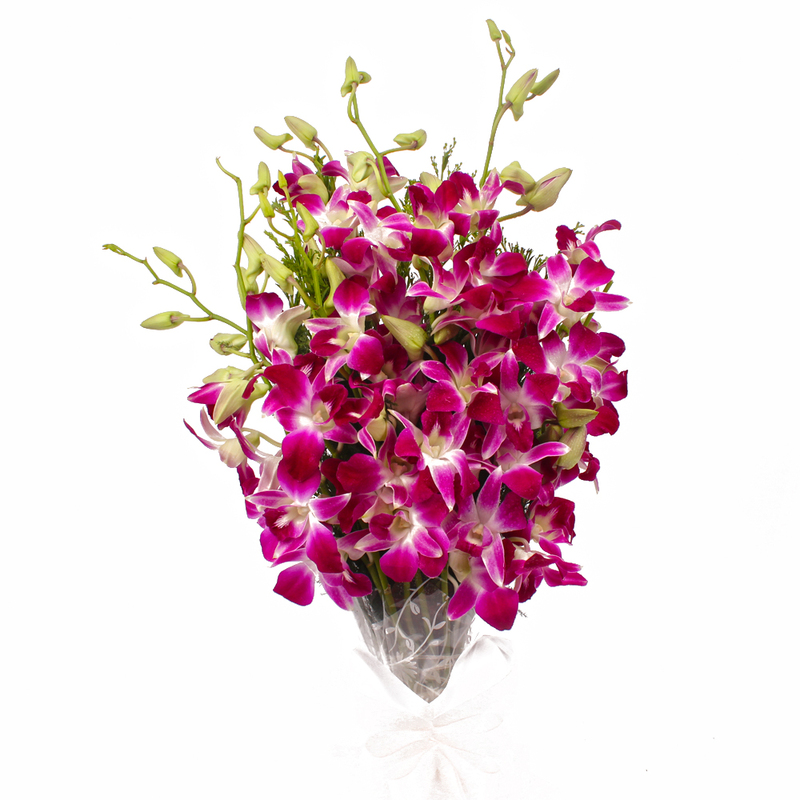 This pack contains a beautiful bunch of Purple Orchids which are synonymous with love, affection, warmth and passion. 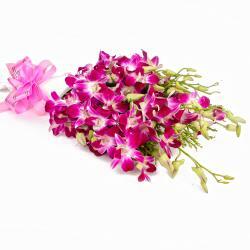 These Purple Orchids will make for wonderful acquisitions this festive season and are ideal for special days like Birthday, Anniversary, Corporate Gifting, Dhanteras, Eid-Al-Adha, Independence Day and many other occasions. 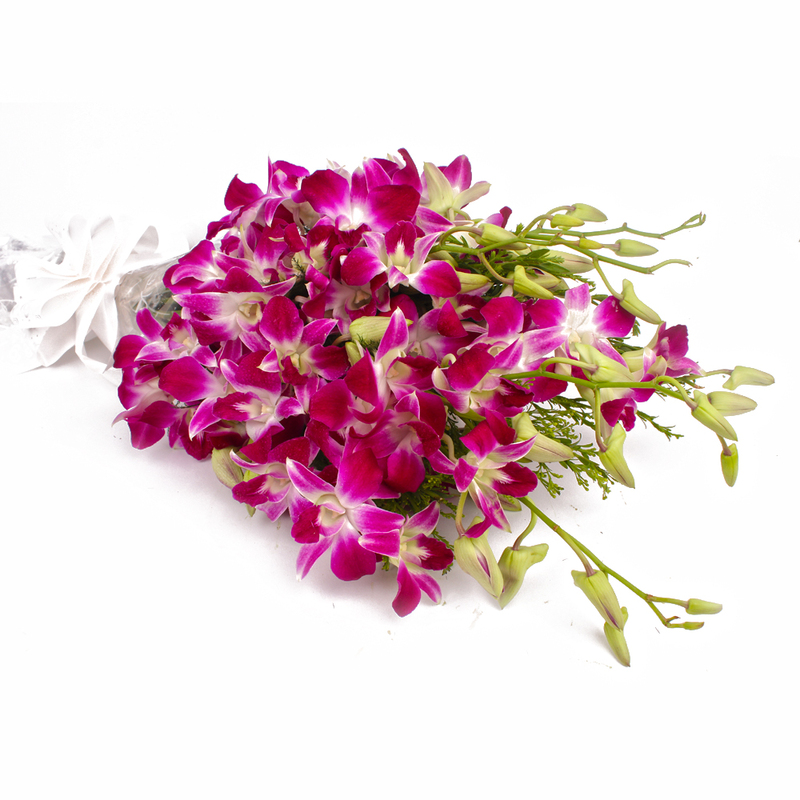 These ten stem of purple orchids re wonderfully packed in cellophane for added quality and elegance and also come with a matching ribbon bow on top for that extra dose of cuteness. 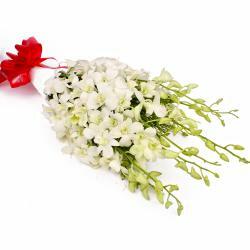 This pack will be really hard to turn down without a doubt. 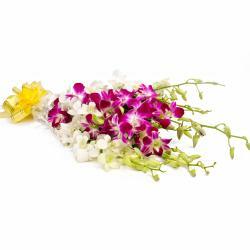 Product contains : Ten Stem of Purple Orchids with green fillers in cellophane Wrapping with Ribbon Bow on it.